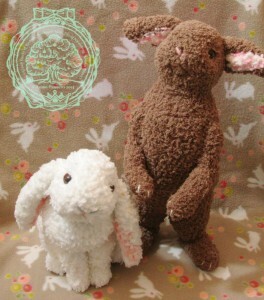 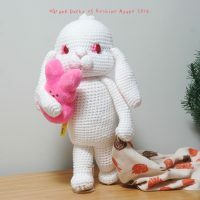 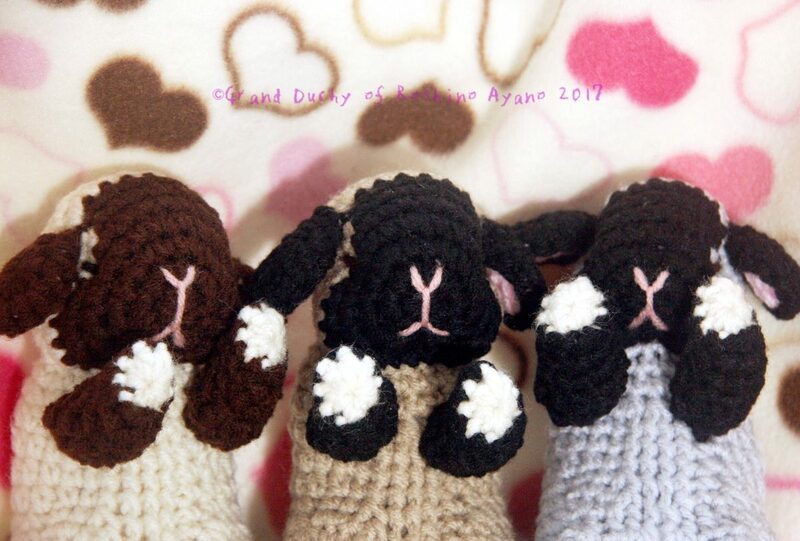 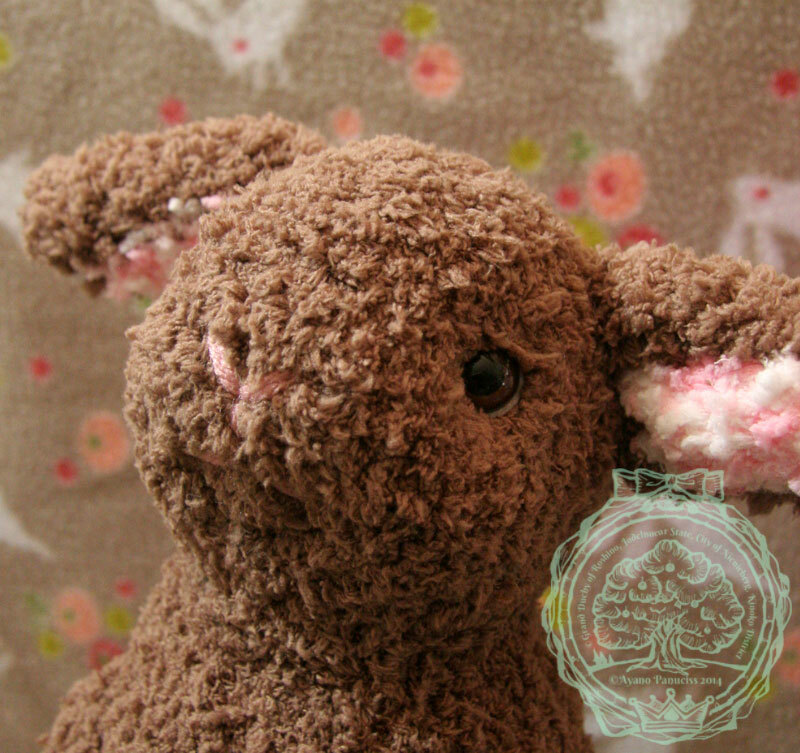 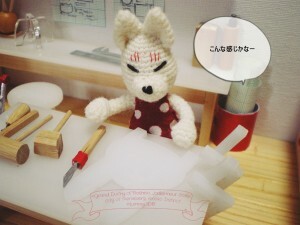 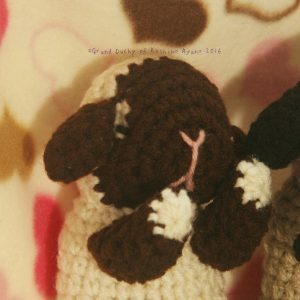 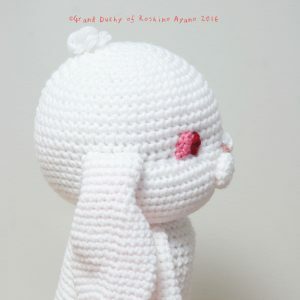 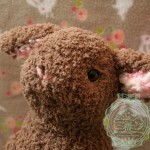 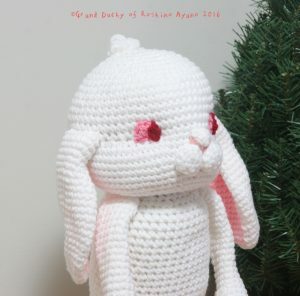 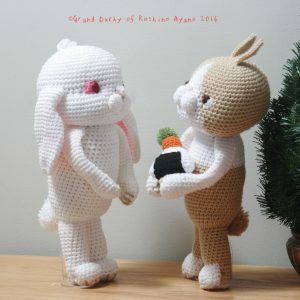 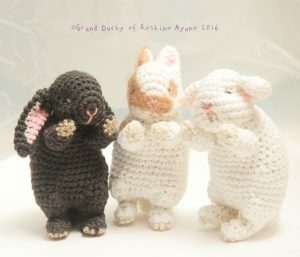 I retried making amigurumi lop bunny. 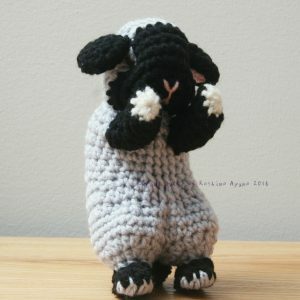 This time I think I succeeded. 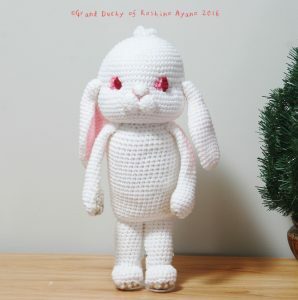 The bunny has red/pink eyes which white bunnies usually have. 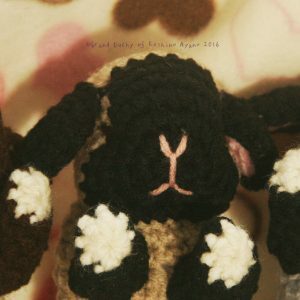 as much as facial 3D details. 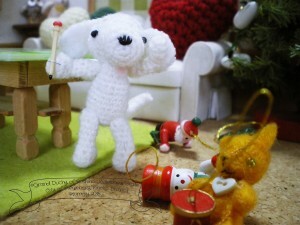 I inserted “bones” to arms and legs. 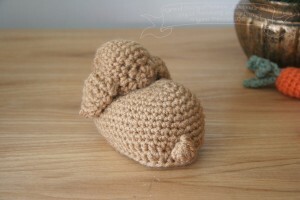 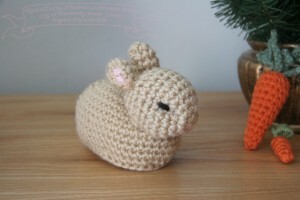 I made amigurumi bunny loaf. My bunny Sebastian often gives me this face. 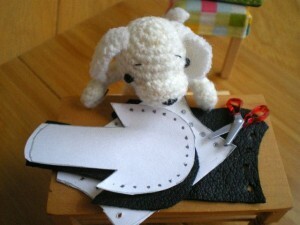 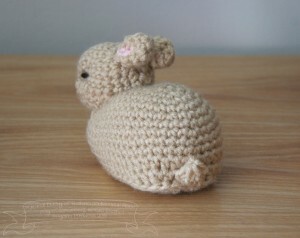 And this one is lop ears. 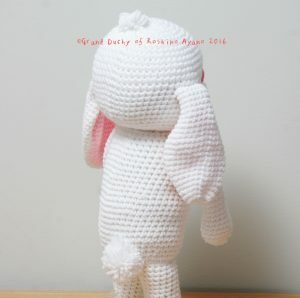 I thinks it’s particularly cute around the back of the head to the back. This disapprove-face is also very pretty. 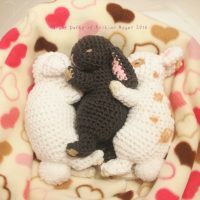 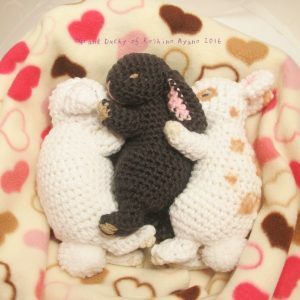 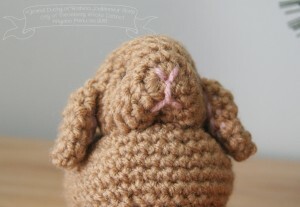 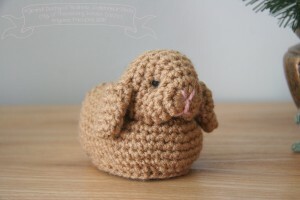 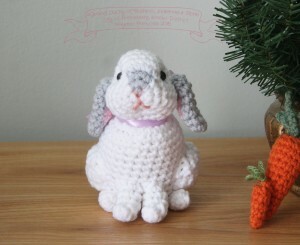 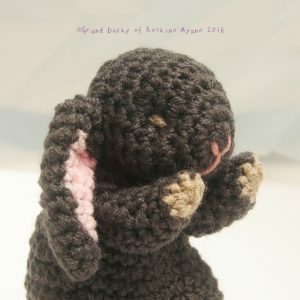 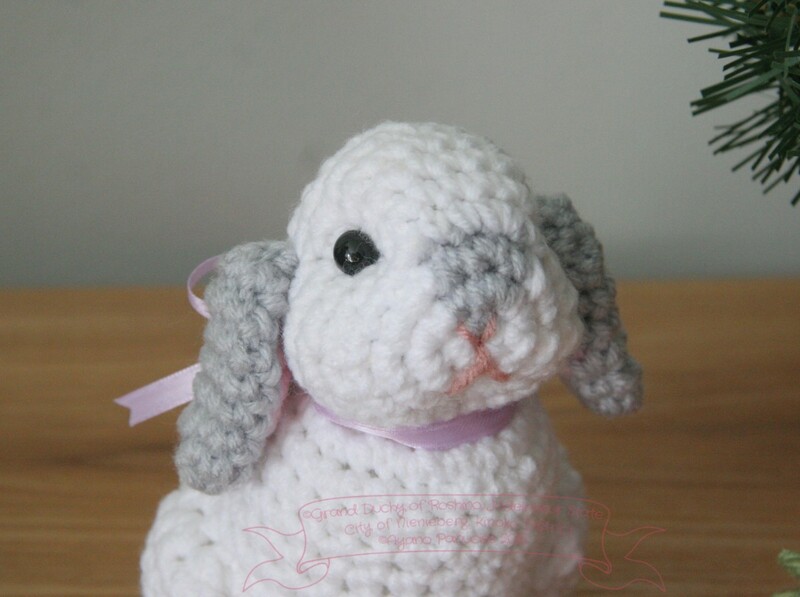 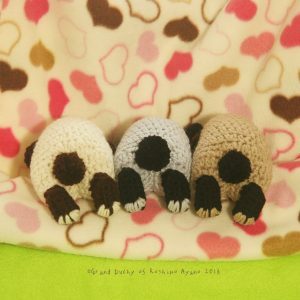 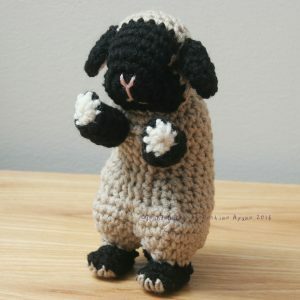 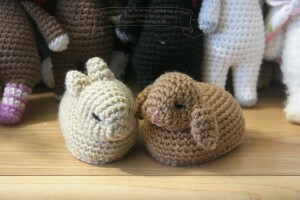 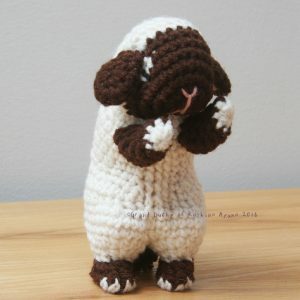 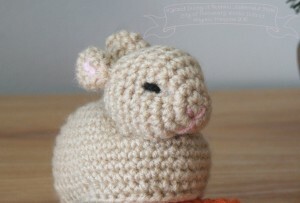 Crochet amigurumi sitting lop bunny. 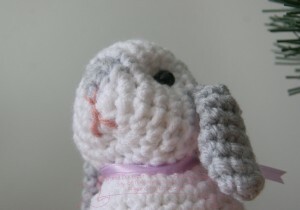 Bunny faces vary by the kind. 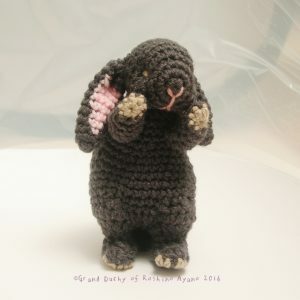 I made a standing amigurumi bunny. 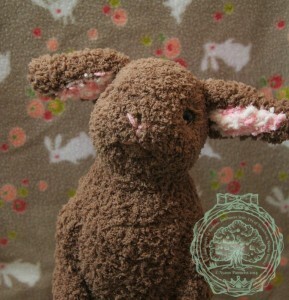 He/She has helicopter ears (somewhere between upright and lop ears). 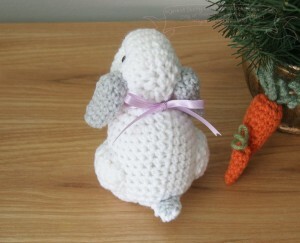 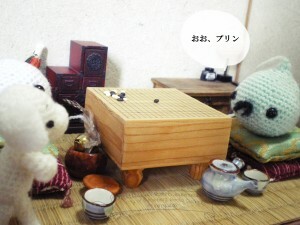 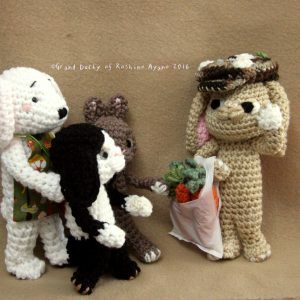 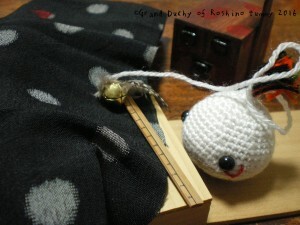 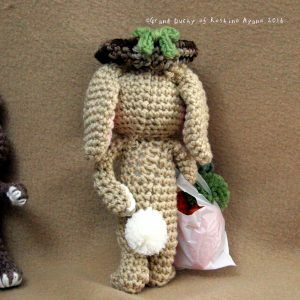 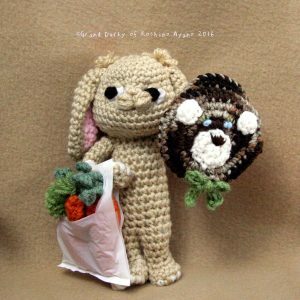 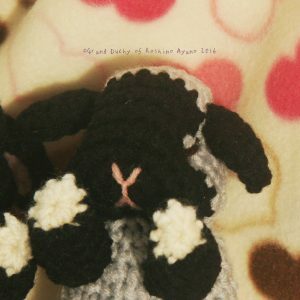 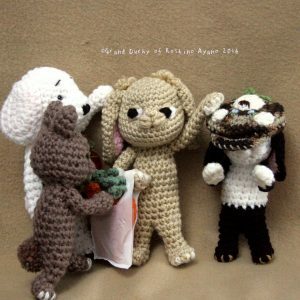 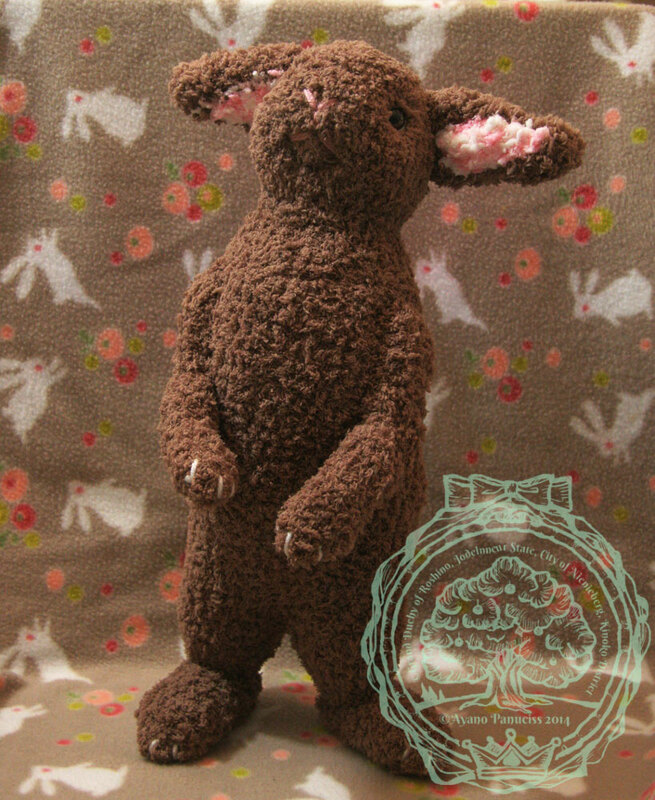 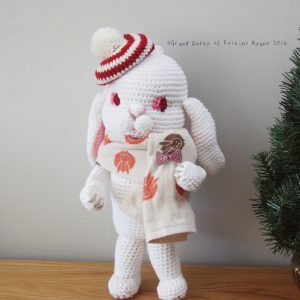 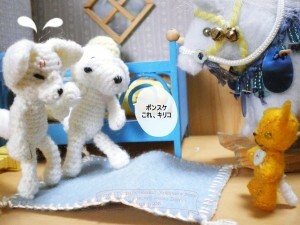 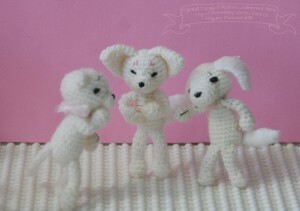 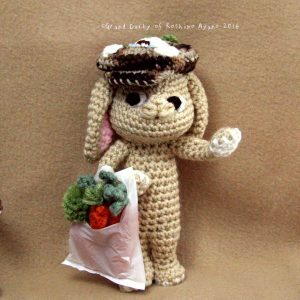 With a sitting amigurumi bunny.